From Borough Park To Berkeley, developments in American kosher wine. With the resurgence of kosher French wine imports and the always vibrant focus on Israeli wines, it’s easy to miss some of the more interesting domestic kosher wine developments. One doesn’t often think of kosher wine in entrepreneurial or innovative terms, yet there are some remarkable things happening in the market. For example, there are some fabulous kosher California wines being made at a tiny commercial winery in, as odd as it may sound, Brooklyn, just outside of Borough Park. The winery’s name is Goblet Wine, and the winemaker, Yanky Drew, is a chasidic Jew with close to 10 years in the business and 20 harvests professionally under his belt. Drew has been making wine at his Brooklyn winery since 2013, all the while continuing with his “day job” as one of the winemakers at City Winery in Manhattan — an urban winery, restaurant, music venue and private event space (and the site of The Jewish Week’s Grand Wine Tasting on April 1). He also oversees City Winery’s limited kosher wine portfolio. Goblet produces just 12-15 barrels of wine each year, and so Drew has only around 40 barrels filled at any given moment. “It’s practically home-winemaking volumes,” he jokes, “but professionally made.” The price of his wines is accordingly high. For Drew, the “satisfaction” of being able to produce wine he’s “really proud of, and that makes people happy, is really what keeps me going.” He ultimately wants to expand just enough to make it more profitable — around 400 barrels, a 10-fold increase — but not so large as to potentially lose the quality control he’s comfortable with. As of this writing, three of his California kosher wines are still available, along with a wonderful riesling from New York’s Finger Lakes region. Drew’s wines are available directly from him at gobletwine.com, or through kosherwine.com. 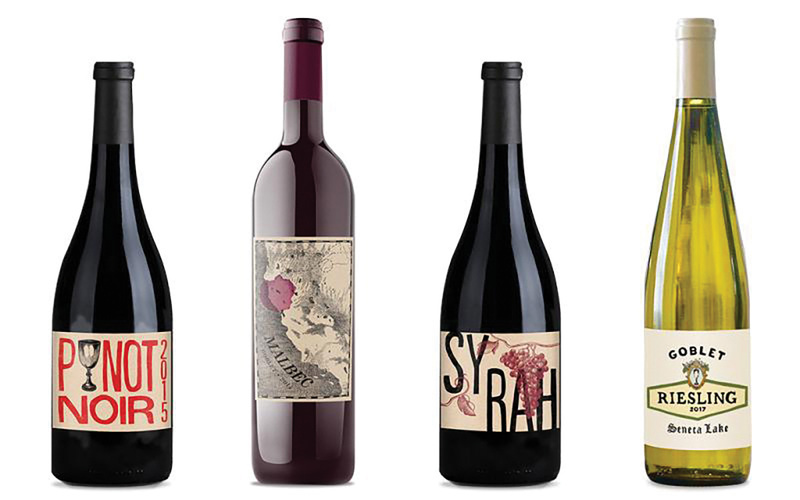 One of the newest players in the domestic kosher wine market is AY Wines, a New Jersey-based company co-owned and managed by Ari Lockspieser; it sources, facilitates, imports and distributes limited runs of kosher versions of popular wines from respected non-kosher wineries. AY Wines was established in 2016, with its first wines from the 2017 vintage hitting the market last year. “The goal,” he says, “is to facilitate — from harvest to bottling — kosher wines that the winemaker will be proud of and that the consumer will love.” AY Wines “aims to make the wine that the winemaker is already producing; simply making it kosher.” Ultimately the idea is to expand the kosher wine market, and the knowledge and experiences available to kosher consumers. Currently all the wines are OU certified, and the company is also pursuing additional kosher supervision to cater to an even wider frum audience. AY Wines’ first project was a small run of 200 cases of three kosher wines from Paumanok Vineyards, a wonderful estate winery on the North Fork of Long Island. The 2017 vintage was released commercially, but distributed through just one vendor, with sales driven entirely by social media and word of mouth; it sold out quickly. Its AY’S current 2018 vintage, released earlier this year, includes fabulous kosher versions of the popular, unoaked Paumanok Festival Chardonnay, the Paumanok Dry Riesling Dry Table Wine, and the highly acclaimed Paumanok Chenin Blanc, the latter Paumanok’s most successful and consistently critically celebrated wine. All three wines, priced nearly the same as the non-kosher wines, are available from multiple distributors in the New York metropolitan area, including Skyview Wines & Spirits, 5681 Riverdale Ave., Riverdale,  759-8466). Just 200 cases were produced, so don’t delay in giving these a try. Another AY Wines domestic project awaiting release is a kosher cabernet sauvignon from grapes from the highly regarded Walla Walla, Wash.-based Bergevin Lane Vineyards. Still aging in barrel at present, this is a small-production, reserve-level cab made with minimal intervention from entirely free-run juice using indigenous yeasts. Bergevin’s winemaker, Sean Smith, is especially excited by how well the wine is coming along. AY Wines also has a 2018 Spanish verdejo from Pio Del Ramo Vineyards soon to be released here, and additional domestic and imported projects in the works. AY is, so far, pursuing an intelligent, deliberative plan, and is hopefully here for the long haul. Across the country in California, winemaking brothers Gabriel and Shimon Weiss, originally from Lakewood, N.J., continue to excel with their small but trendy Shirah Wine LLC, which they launched together in 2011. 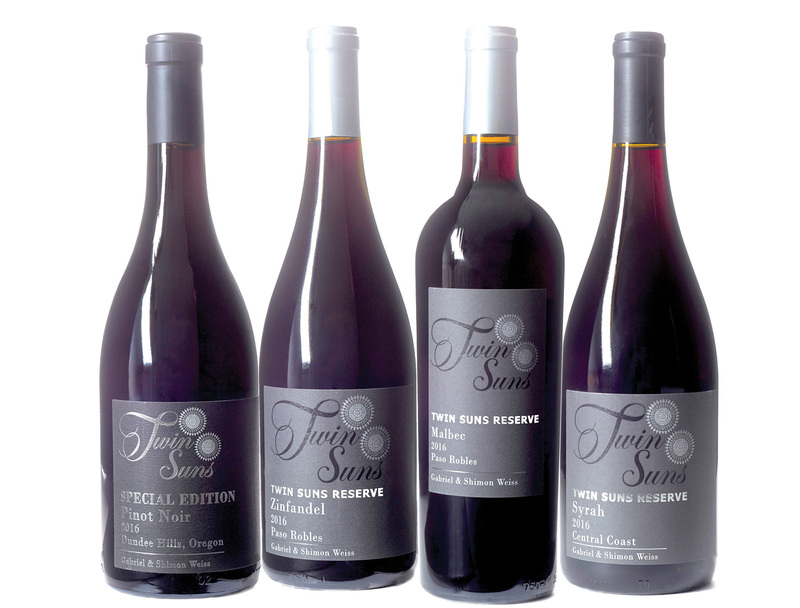 In 2012, the Weiss brothers also began working on a wine that was to become the first in a new brand called Twin Suns, a special project for The River Wine, a New York-based kosher wine importer, distributor and producer. They “reached a point [with Shirah],” he says, “where we were producing too much too quickly, and we basically plateaued on production for around three years.” They shifted their focus to more small-lot, direct-to-consumer wines, and less on their higher volume, wider distribution wines. “In the last year, though, our brand widened its reach a bit,” notes Weiss, adding that “sales picked up, and we are once again expanding, though hopefully now more sustainably. 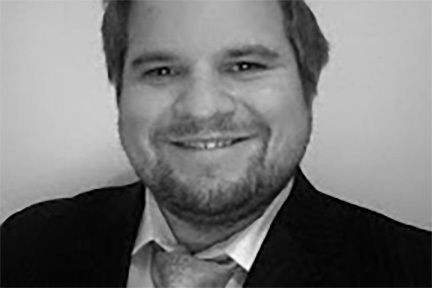 By Pesach, for example, we should have around 12 wines available, including a new Bro-Deux blend, a new single varietal granche, a new single vineyard syrah, and our first port-[style] release.” There is also news regarding their Twin Suns wines. 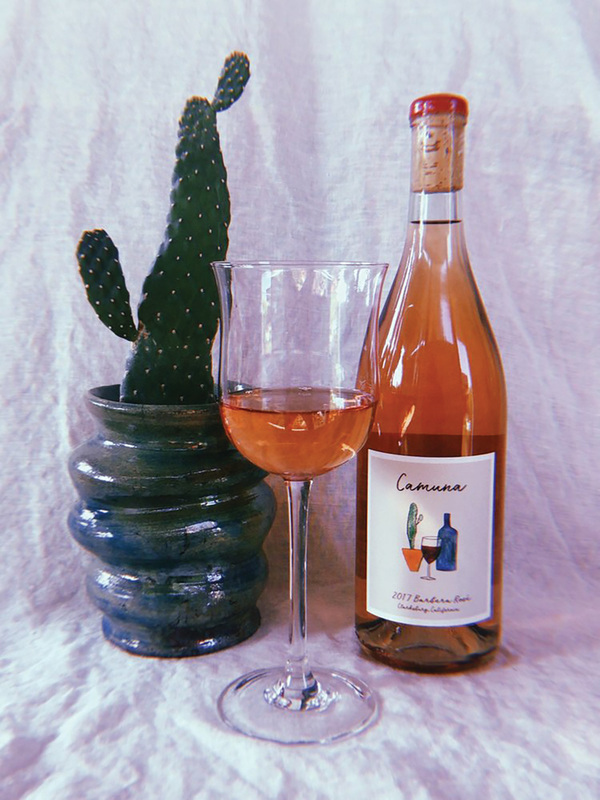 One of the newest small producers — a fledgling though promising player — is Camuna Cellars out of Berkeley, Calif. Camuna is a passion project of Eli Silins, cellar master at the kosher Covenant Winery, and his wife, Molly Nadav, an artist and Covenant’s project director. They are still exploring, and haven’t settled on exactly what they want Camuna Cellars to be. Their wines are kosher (OU supervision), but they are not geared particularly to the kosher market. Rather, they are striving to make honest, fun, approachable, interesting and not-too-expensive table wines for themselves, and for people like them. 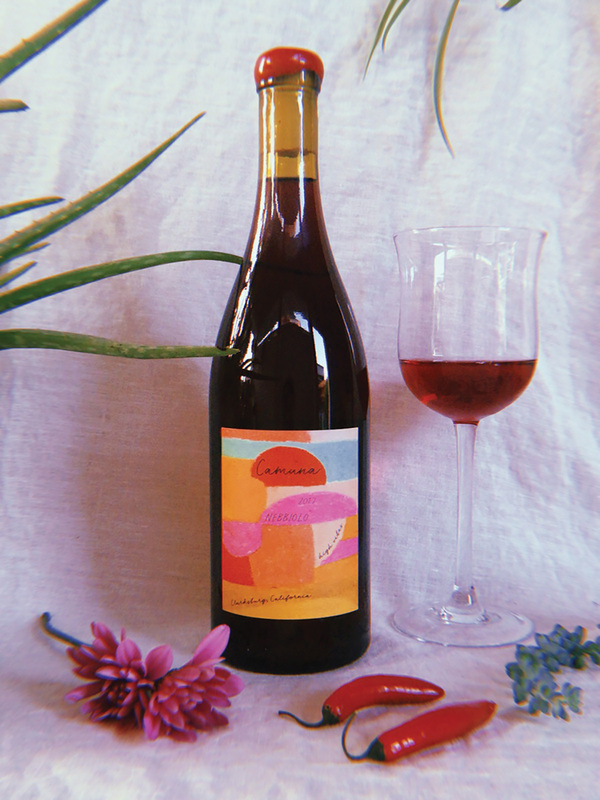 For their first official release, they made one barrel of their lovely barbera rosé, one barrel of their enjoyable “Ancient Vine” carignan, and three barrels of their delicious “High Vibes” nebbiolo. For the 2018 vintage they will have four new wines, another barbera rosé (“different vineyard though”), a “High Vibes White Wine” (a blend of 54 percent malvasia bianca and 46 percent chardonnay), and two reds — a sangiovese and a “California Mission,” a varietal introduced to California by Spanish missionaries around 1760. Silins and Nadav source their grapes exclusively from “sustainable and/or organic vineyards,” and they “intervene minimally to deliver a product true to its essence,” using only “native yeasts” and “minimal sulfur added at bottling.” They also refrained from fining or filtering their reds. All three of the current Camuna wines are honest, interesting, fun and — most importantly — a pleasure to drink. They are currently available exclusively through their website.